to be effective. 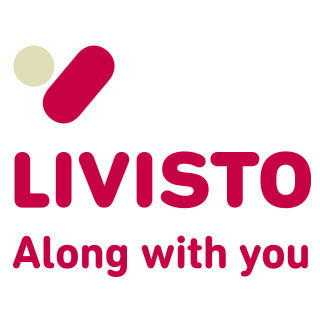 A single bottle is enough to treat 1000 animals with an average weight of 50 kg. problem of other NSAIDs regarding infra and over dosing. Each ml contains: Ketoprofen, 300 mg.
Calves and pigs for fattening. 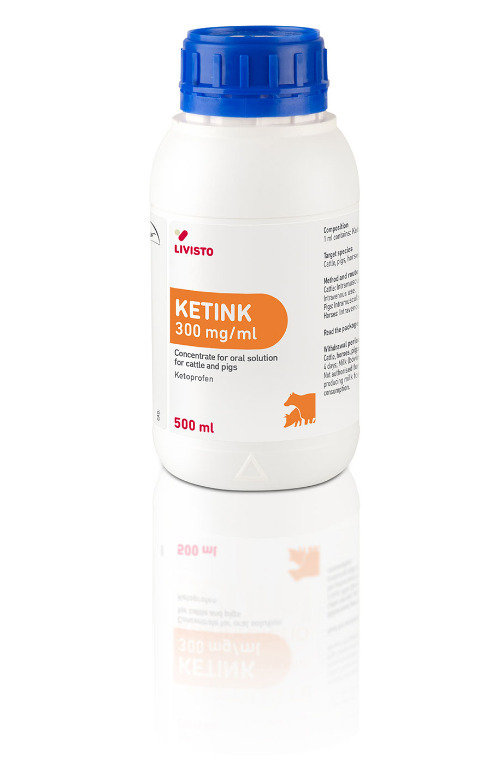 Pig (pigs for fattening): 1.5 - 3 mg ketoprofen/ kg body weight/day (equivalent to 0.5 - 1 ml Ketink 300/100 kg b.w /day). The dose of 1.5 mg/kg is effective in the treatment of mild to moderate processes (body temperature < 41°C). The dose must be increased up to 3 mg ketoprofen/kg b.w. Meat and offal: 1 day.